This month I have decided to take a slightly different angle for my post. Usually, I try to connect digital marketing with behavioural and psychological aspects, however this time around I’ve been looking at outstanding and smart content examples which I would like to share with you here. 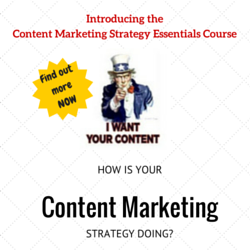 In late 2012 it became very evident that content would be the buzzword within the digital sphere. Considering though that the internet has become increasingly filled with non-valuable content and noise – where can one turn to for true content inspiration? Finding great and smarter content examples can often be frustrating, time consuming and nerve killing and that is exactly why 3 Door Digital and Linkdex have agreed on a partnership to launch and power smartercontent.org. 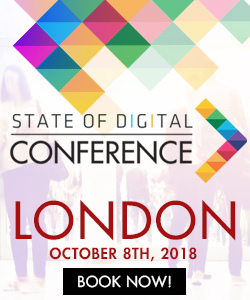 The idea behind the collaboration was simply to provide one place where marketers and digital wizards can share, curate, promote and discuss smarter content examples – creating a community where smarter content is truly at its core! As you can probably guess I’ve therefore spent some time on this relatively young content marketing community to find out what content is currently popular amongst its users. It has to be said that I came across some really insightful as well as different approaches to smarter content – which I would love to share with you now. 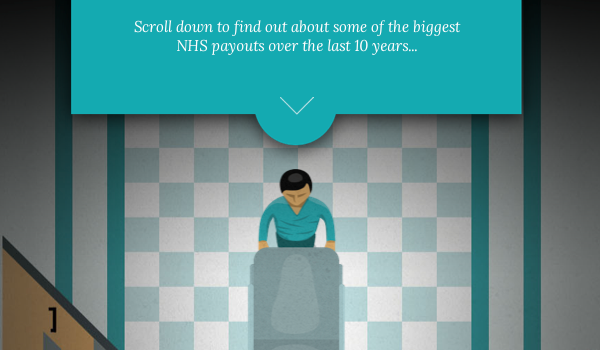 As a result of the NHS’ staggering £17.5 billion negligence bill Express Solicitors, a UK based legal firm, took matters in their own hands and created and published a rather interesting interactive timeline showcasing some of the UK’s highest payouts over the last 10 years. The journey as you can probably imagine highlights the 10 most shocking and biggest pay outs made by the NHS due to a series of medical mistakes. The amount spent ranges from £2 million up to £10 million with fatal cases such as birth errors, staff discrimination and superbugs. The aim of this interactive infographic is to showcase the extent to which the UK’s national health service is paying the cost of negligence claims as well as what these are costing the UK as a country. More worryingly though the interactive journey also predicts what is likely to happen in 2013 as reforms continue to change the face of the NHS. Considering the seriousness and complexity of this issue this visualisation provides the reader with a spot on educational and non-confusing overview. And last but not least it rather heartbreakingly shows you how much money David Beckham has made since you’ve been on the page! The purpose of this fantastically executed video microsite was to provide its audience with a sequence of the island’s missile crisis unfolded in great detail. What’s really impressive is not just its beautiful design but its various overlays of additional in-depth information providing the reader with a huge amount of educational resources such as expert, politicians’ and historians’ interviews and footage – all in one place. I found the the resource to be enormously interesting and an engrossing resource. The combination of types of media is brilliant. 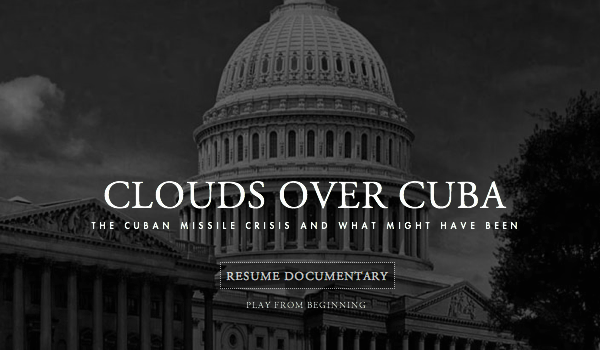 The documentary itself gives you a great overview of the missile crisis and its impact on the major players. The documentary provided a compelling narrative, while the picture and map galleries give give you a real feel for the era and geography. In addition, the expert commentaries provide a fascinating and more detailed level of analysis of the various factors affecting the crisis, as well as the motives and behaviours of the protagonists behind the scenes. For those who are really interested in primary sources, there is footage and recordings of speeches and meetings from that era. While for the historians amongst us, there is a wealth of previously classified top secret documents including minutes of meetings, letters between JFK and Khruschchev, military plans and memos. Apart from that the site also features interactive features, dynamic copy and further allows users to sync the site with their smartphones for film and dossier content to enhance the user experience even more. As a result, this documentary provides a much wider range of knowledge and resources than would normally be possible in a traditional documentary. A really well thought out and executed piece created by the John F. Kennedy Presidential Library and Museum. Okay, I have to admit that in digital terms this example might seem a bit outdated but it still belongs to my personal all time favourites and I simply can’t resist to include it here. Are you ready? So here’s what happened. In 2011 Jay Z & Bing teamed up for a viral campaign for the release of the rapper’s autobiography. The idea was to put every page of the book into a real world location that in some way spoke about the content of that particular page. So while some pages were splashed onto billboards, others turned up in less expected locations – like the bottom of Miami’s Delano Hotel, on pool tables, in the lining of suits, etc. The campaign also included a Bing maps enabled scavenger hunt which allowed the audience to uncover clues as to the location of the pages. The result? Within a month the campaign saw 11.7% website traffic increase to Bing with the average player spending 11 minutes on it. Furthermore, it gained 1.1 million global media impressions whilst Jay Z’s Facebook page got 1 million likes and his autobiography topped the best seller list for 19 weeks! And the people responsible for the campaign? Droga 5 won a Grand Prix Lion for best outdoor category. 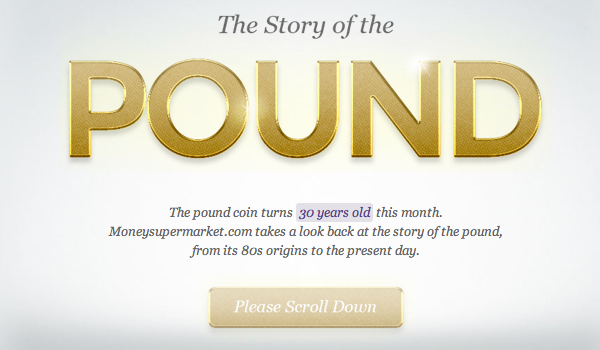 That’s what I call a truly mind blowing multi channel campaign with a genuine buzz factor! Clarissa is a bilingual Strategic Marketing MA graduate with rounded experience in a number of key marketing disciplines including social media, project management, research and business development. Clarissa is Marketing Graduate at Linkdex. 4 incredible content marketing case studies from @smartercontent http://t.co/glK0HoBZME via @stateofsearch Enjoy!